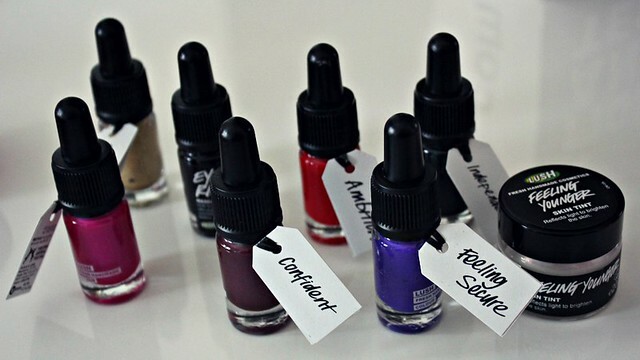 I've been looking forward to LUSH's Emotional Brilliance, it's about time they released their own makeup line. After years of using their products, I have high expectation of their makeup line just like my favorite products- vegan, natural, organic ingredients, affordable and still have the highest quality I expect. Below is my review of the package and makeup so far. I tried to pick up one of each product they offered- for the cheeks, eyes, liner, lips and blush. All the packages are in glass bottles and all recyclable. Each size is less than 5 oz. That's tiny but from what I was told from a LUSH employee, they claim to last longer than a conventional size lipstick, mascara, blush, etc. They have a skin brightener, Feeling Younger. Now that's smart marketing. 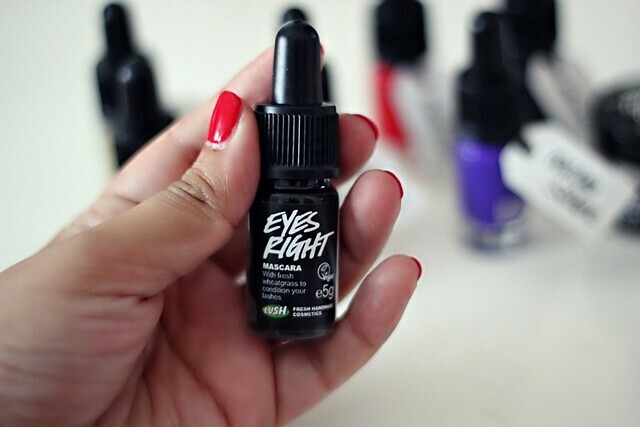 It's a highlighter, complexion enhancer, and when blended well acts as a primer to the LUSH eyeshadows. 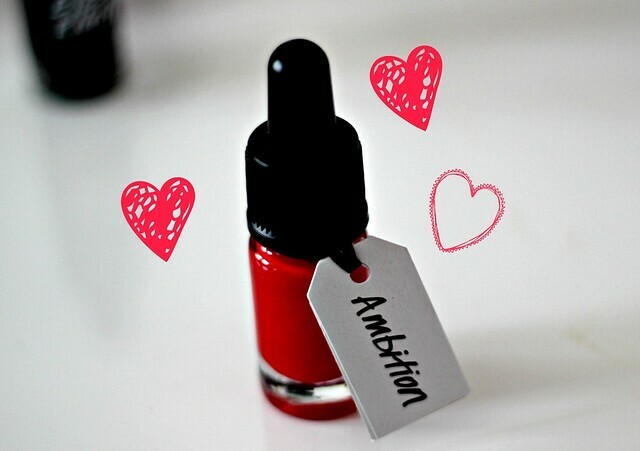 My absolute favorite was Ambition lipstick (which is also a blush!) It was bright but when I mixed it with Passion, it had a great color combo. That's another thing I really love about this line, it can be blended and mixed together, eyeshadows to blushes to lipsticks. I picked up three liners, a gold, purple, and black. It's been YEARS since I wore liquid liner, but I'm excited to try these. 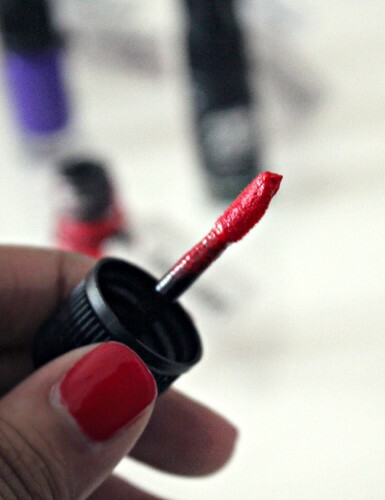 I miss NARS Schiap and Heat Wave, and the lipsticks are the closest I've found that are natural. 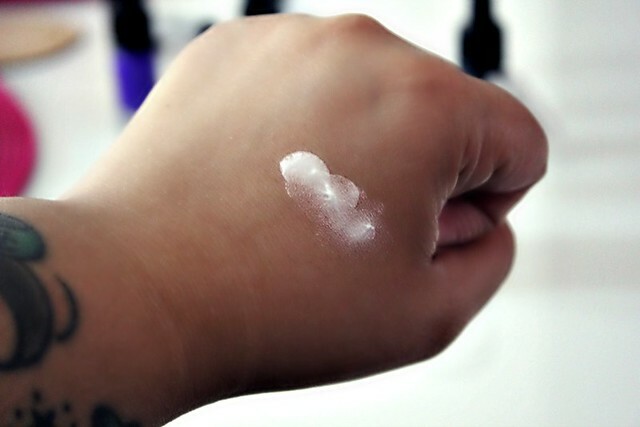 The prices range on average like any good makeup line ($20-$27) but the difference is this is all natural, with some organic ingredients, and it claims to last longer. I'm so excited for this line. Buy them here! I loved everything so far. I didn't have to wait a full week to decide on the quality of the makeup- I'm wearing it one weekend during the warmest time in the Summer. If it can survive the heat, that makes me happy. The only thing that didn't last- the mascara but I'm not expecting a vegan mascara to last through this. If it did, I would honestly be a little weary of what preservatives were added to it. I recommend this line!